Doctors need to experience waiting sometimes. I hope your mom is getting better. Thanks, JoAnna. I’m sure her head is getting better, but she keeps asking me why it hurts. She’s forgotten she fell. I can imagine the challenges. Take care of you, too, Linda. That’s got to be one for the books, doctors caring enough to wait and talk to you–color me impressed. Sending up prayers for your mom. That is quite the turn-around! Hope your mom feels better! Hope your mother is feeling better! 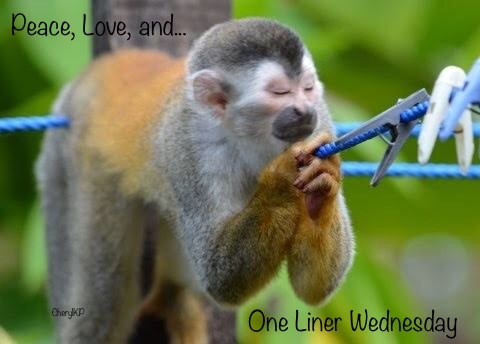 Pingback: One-Liner Wednesday – (4/10/19) | Tessa Can Do It! Positivity is Catching! I hope your mother feels better soon. Best wishes for a speedy recovery to your mom! LOL – There is that slight joy in rare moments when we can make doctor’s wait. Hope your mom is doing better! That was nice of them to wait. I hope your mom gets better soon. My entry : https://gattinawritercramps.blogspot.com/2019/04/wordless-wednesday.html What thinks a cat about Brexit ? Nice to turn the tables. Hope your mum is OK. I hope she gets well soon.